Are you looking for a great way to create a beautiful, stylish bathroom? If so, then think about glass — one of the year’s top bathroom trends. Here is a quick look at the many stylish ways the design world is putting glass to work in the bathroom. One timeless favorite is glass shower doors. Use textured glass or smooth, clear glass — either way, you’ll make a big statement. The glass shower enclosure is very popular right now, particularly the clean look of a frameless enclosure. Framed enclosures are another great (and lower cost) option, especially when they are designed to look like French doors and windows, or windows with transoms. 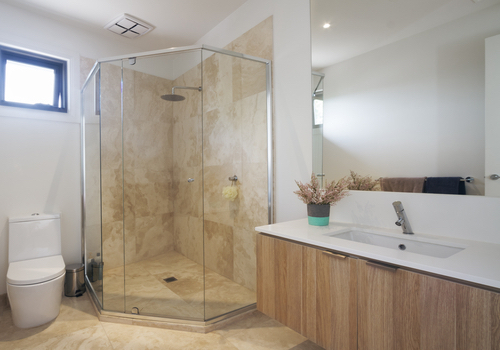 In more compact bathrooms, sliding enclosures will give you the same look as a glass enclosure, but since the doors slide rather than swing, you won’t need to worry about making sure there is enough room for a swinging shower door to open. Glass block enclosures are incredibly versatile, letting you build a shower in any number of shapes, sizes and designs — including showers with beautifully curved glass walls. There are two great ways to incorporate glass in the bathroom sink: One is to make use of glass sinks, particularly vessel sinks, which tend to resemble old-fashioned washstands. The other way to use glass around the sink is to go with a glass countertop over an open-framed vanity. Continue the theme using a glass vessel sink on the glass counter or choose a vessel sink in a contrasting color. In some high-end bathrooms, the glass counter is even illuminated from below, which adds a pleasantly modern ambience. Add an air of elegance by installing a cut-glass chandelier as the bathroom’s main light source. 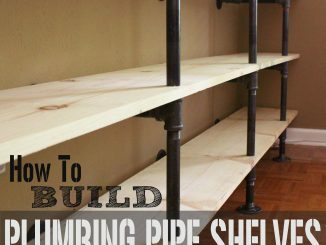 Install glass shelving, whether you use smaller shelves near the sink for your necessities or larger glass-shelving units for big items like towels. When it comes to mirrors, bigger is better. Not only will they enhance your glass-oriented theme, but they’ll make the room feel more expansive. Put glass tile to use. Glass tile comes in a vast array of colors and styles. 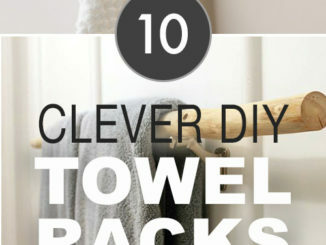 It works well as tiling for shower walls or as a backsplash behind the bathroom sink. Don’t forget about the windows! One great way to use windows as an accent is to match them with the shower. In other words, if you have a glass block shower, then consider glass block windows, and if you have a framed enclosure that features transoms, then make sure to continue that theme with the window. As you can see, there are many ways to get the look you want using glass fixtures and accents. Make your bathroom beautiful with glass, and this is one trend that you’ll enjoy for years to come.